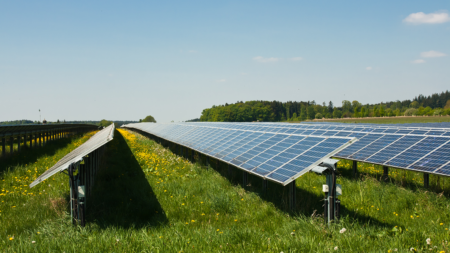 In partnership with Kearney City officials, the Iain Nicolson Audubon Center at Rowe Sanctuary, Nebraska Public Power District, and SoCore Energy, we invite you to learn more about Nebraska’s largest solar array and the benefits it provides to the community and environment. This array is radically different from the solar photos you’ve seen from the Arizona desert. Bird- and pollinator-friendly flowers and grasses have been seeded under and around the solar panels. Planned specifically for a time when Kearney is a national destination for millions of Sandhill cranes, a panel of local and regional leaders will discuss economic development and care for nature and the land in the context of the growing trend of solar development by cooperatives around the country. 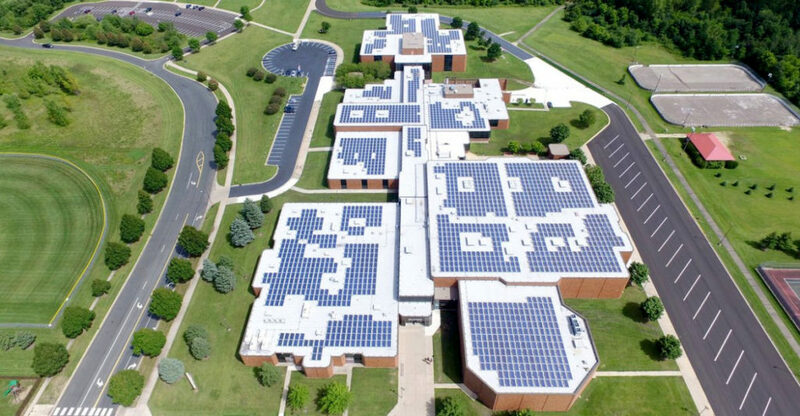 The conversation/workshop will be followed by a tour of the Kearney solar array, with a light lunch provided. The solar array tour will include opportunities for attendees to assemble boxes for native bees and broadcast a bird- and pollinator-friendly seed mix, with assistance from the Kearney Outdoor Learning Area (KOLA) high-school students. Photos by Rob Davis (top) and G. Parker. Rob Davis’ TedX Minneapolis Talk – Click image to start it. 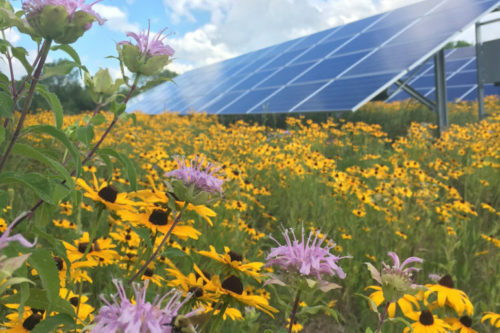 This entry was posted in Community-Scale Solar, Nebraska / Midwest News and tagged City of Kearney, Fresh Energy, Iain Nicolson Audubon Center at Rowe Sanctuary, Kearney Community Solar Farm, Kearney Outdoor Learning Area (KOLA), Minnesota Law 188-2, NPPD, pollinator-friendly solar sites, SoCore on March 6, 2018 by Helen Deffenbacher.